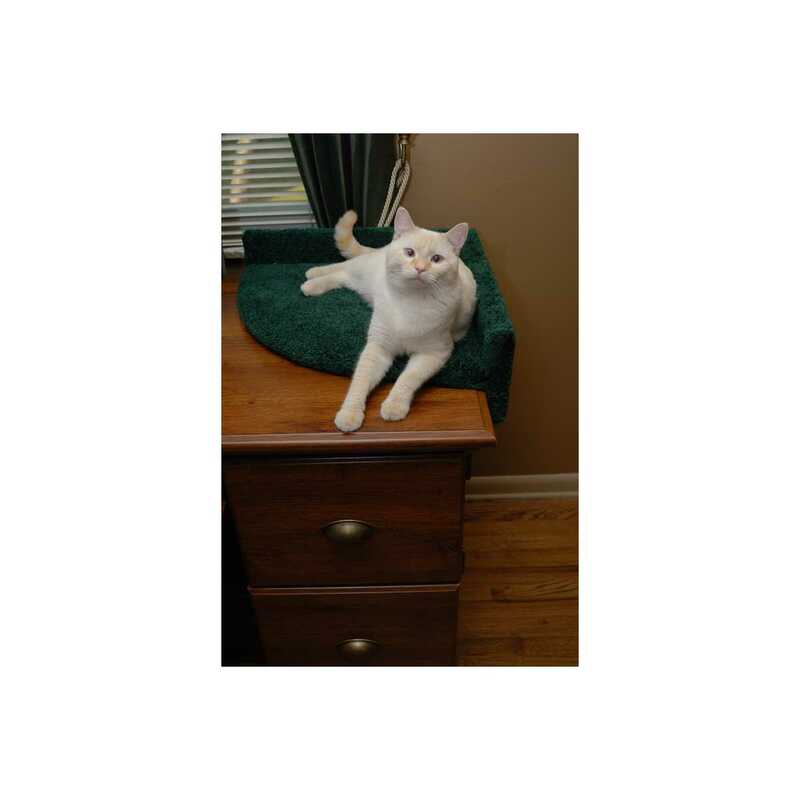 If your cat is like ours, he loves to spend time right where you are - working at your desk, and no doubt lying all over your important papers! 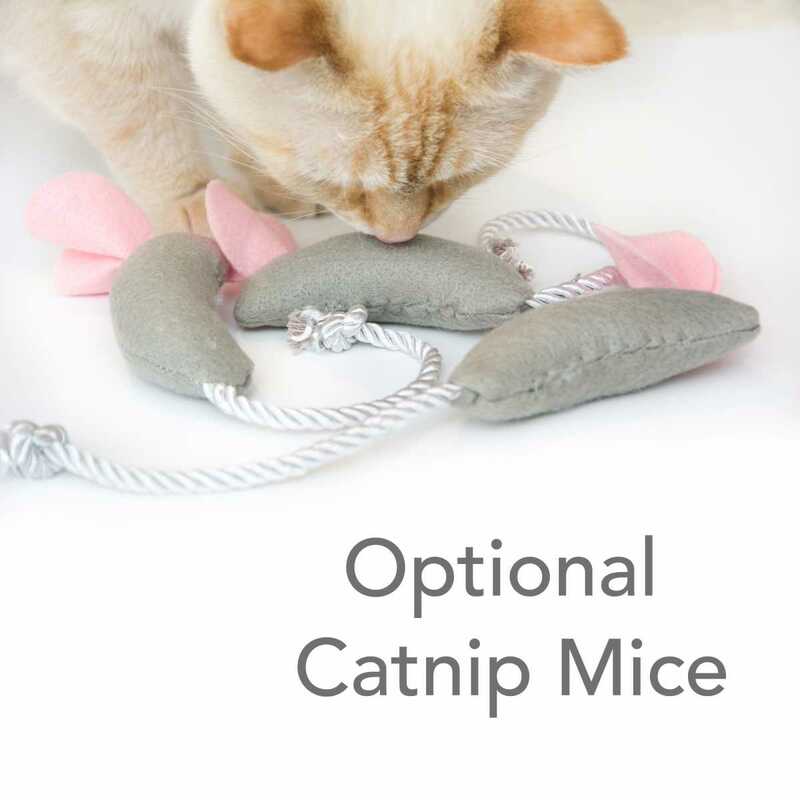 Finally, a solution for this problem! 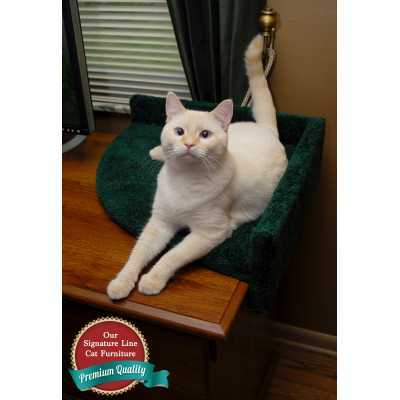 The Cat Corner Desk Lounger is a special bed and lounging area for your cat that allows him his own special area on your desk. 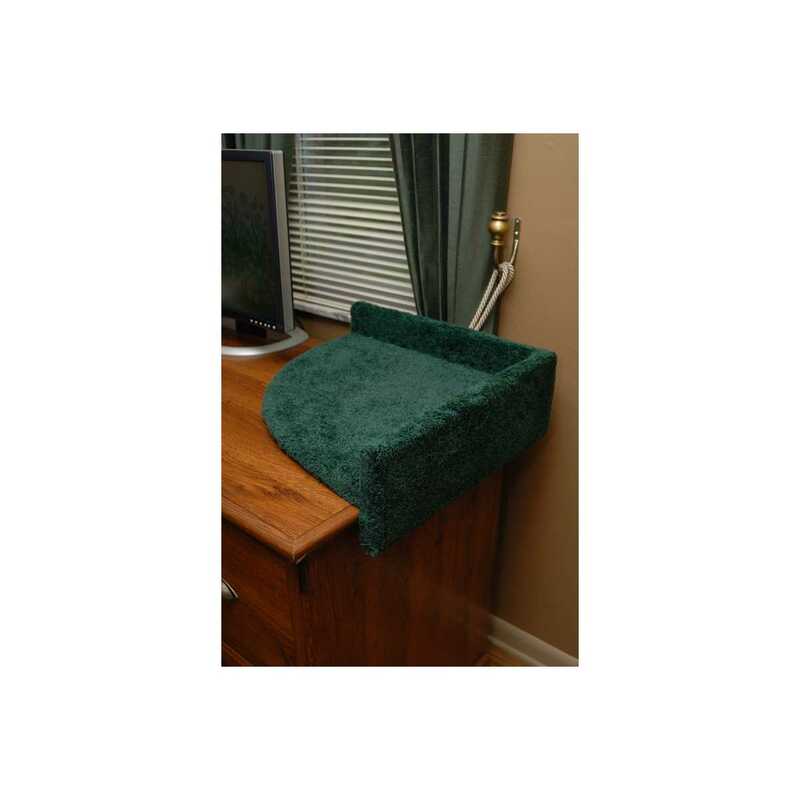 This ingeniously designed bed simply rests on the corner of your desk, and is held in place by velcro on the underside that is affixed to the back of your desk. 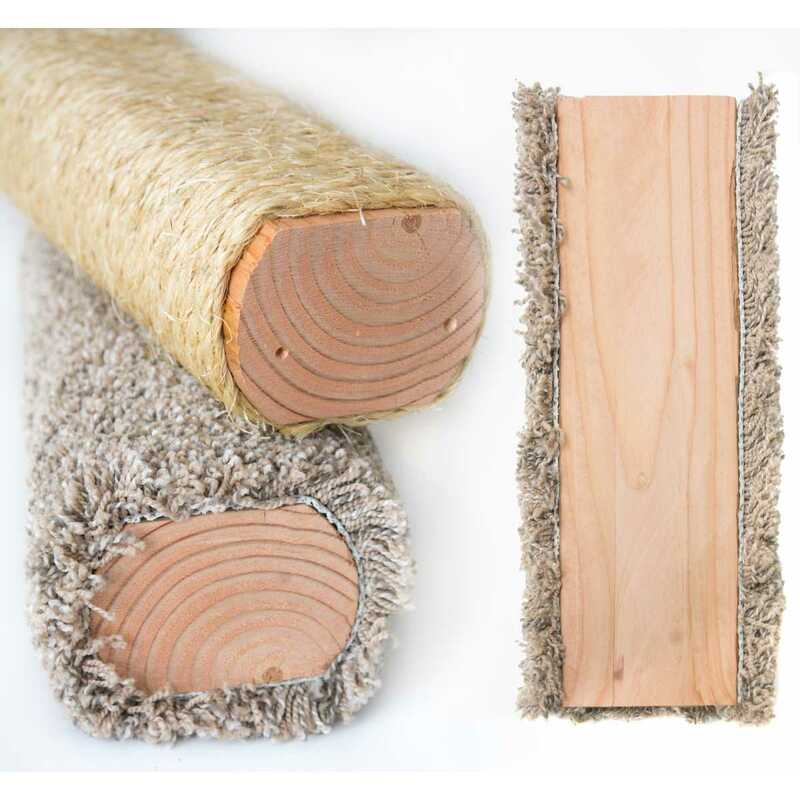 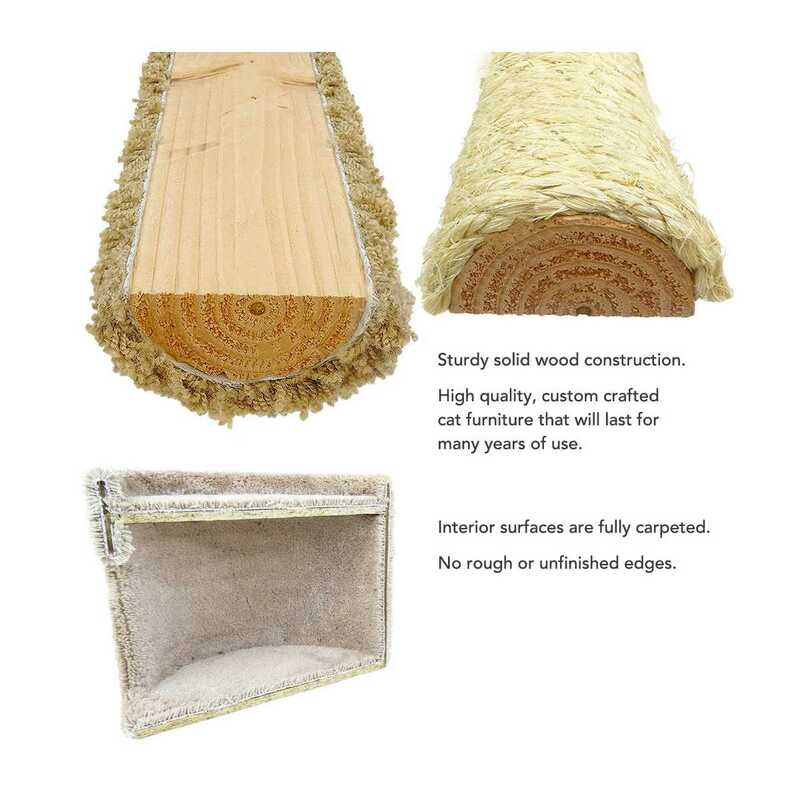 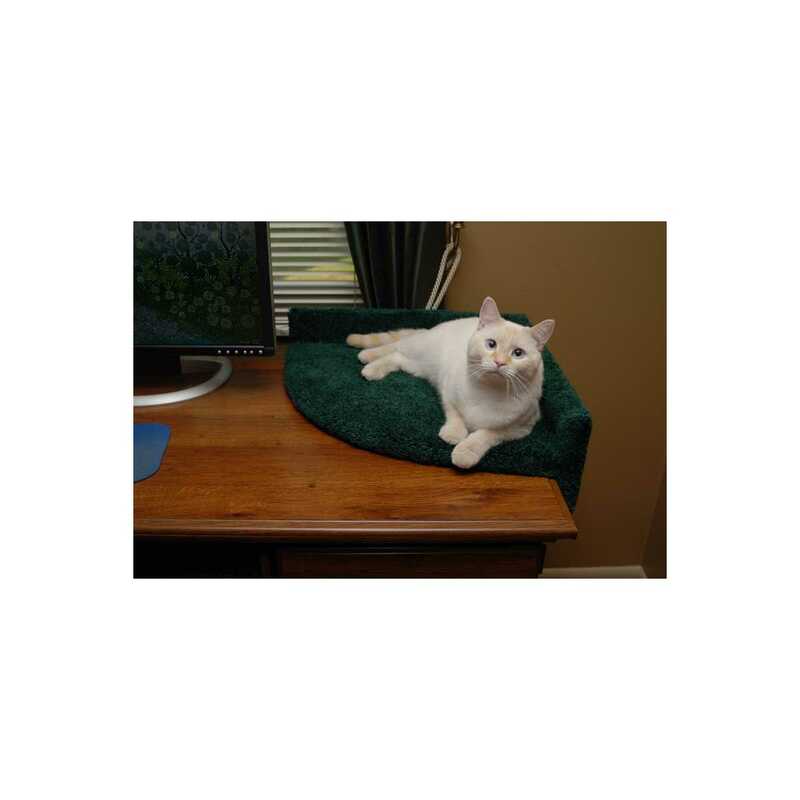 Your cat can now be at your side while you work, in the comfort of his own lounge pad. 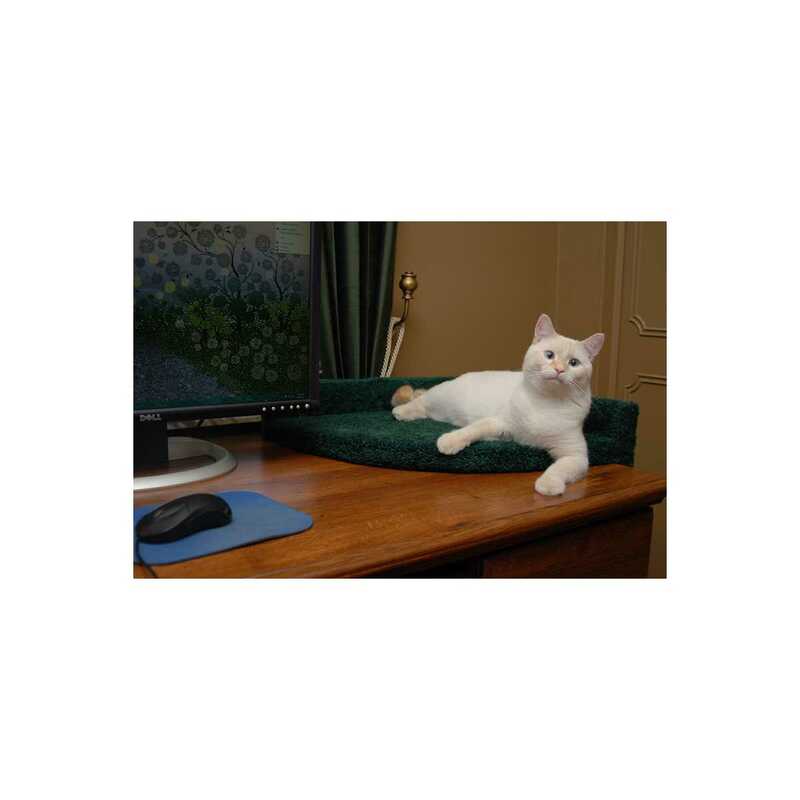 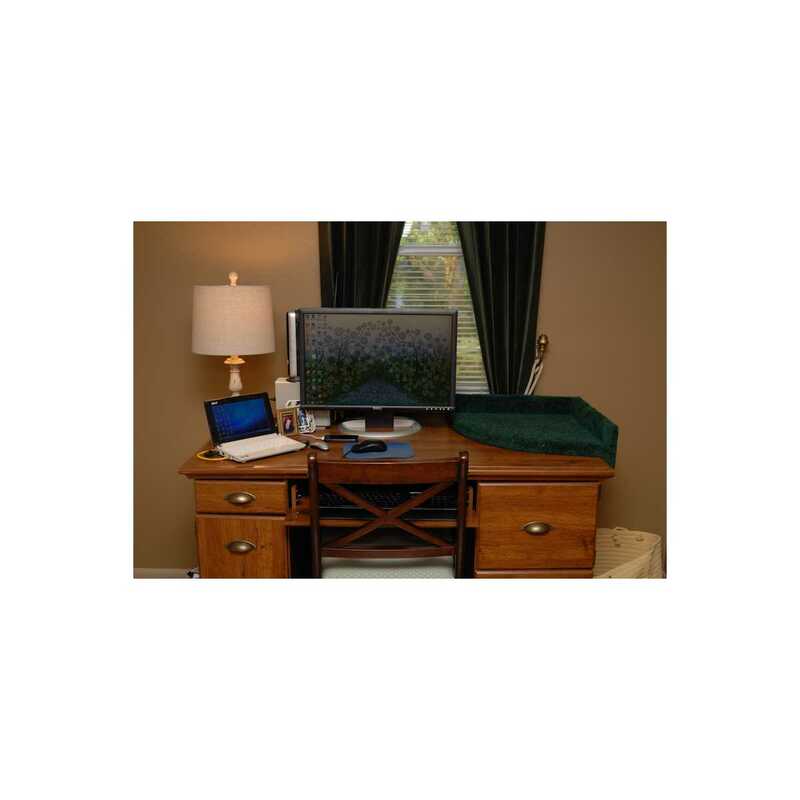 The Cat Corner Desk Lounger is 19" x 19" on each side, with 3" high rails that your cat can lean comfortably against while he rests contentedly. 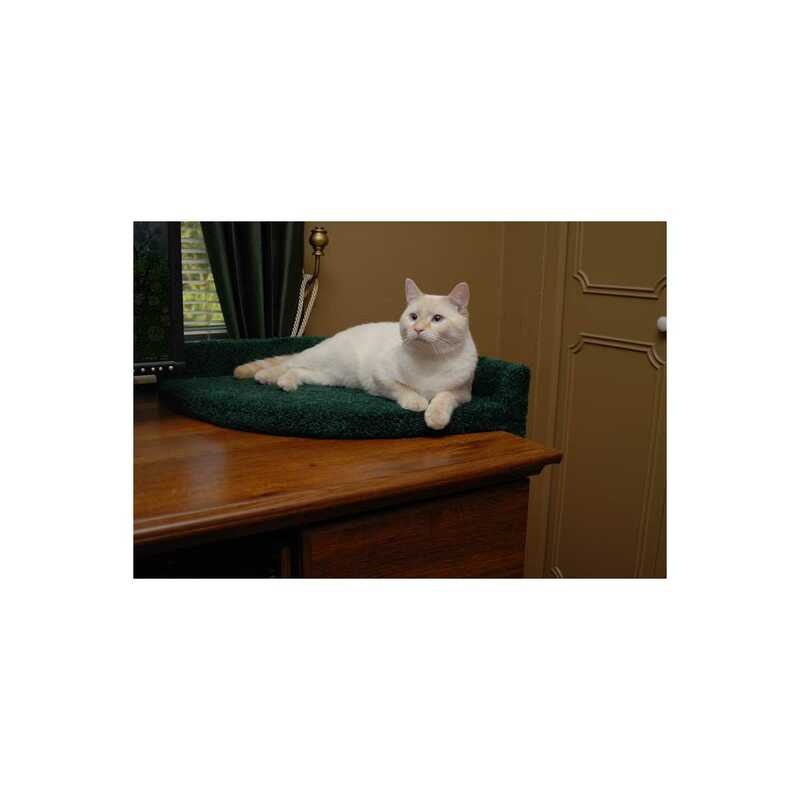 The lounge space is big enough for even the largest cat, but takes up only a small footprint on your desktop. 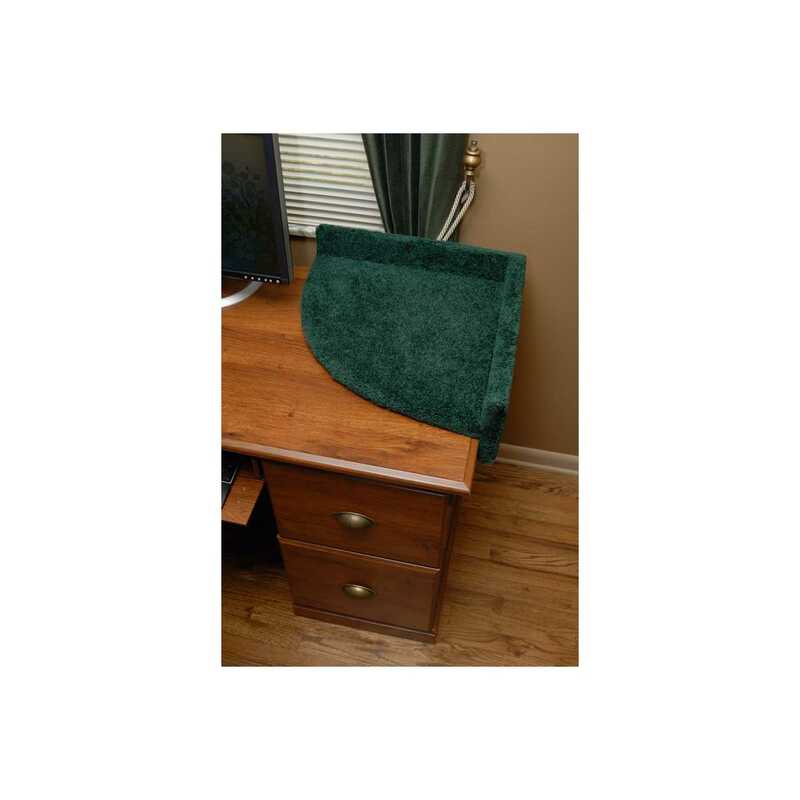 Great for anyone who spends time at their desk working on a computer! 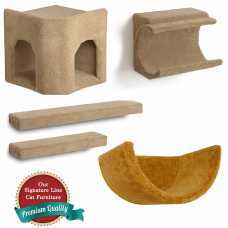 Also the perfect solution for apartment dwellers who may not have the space for a large, traditional cat tree. 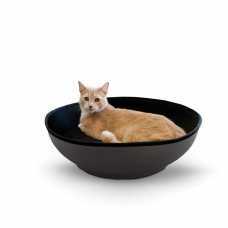 The Mod Half-Pod has a unique bowl design will be a sure hit with any indoor cat. 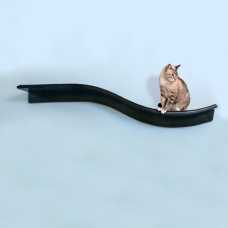 A removab.. 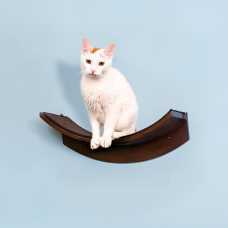 The Eleganza Leaf Cat Shelf provides a perfect spot off the ground for your cat to curl.. 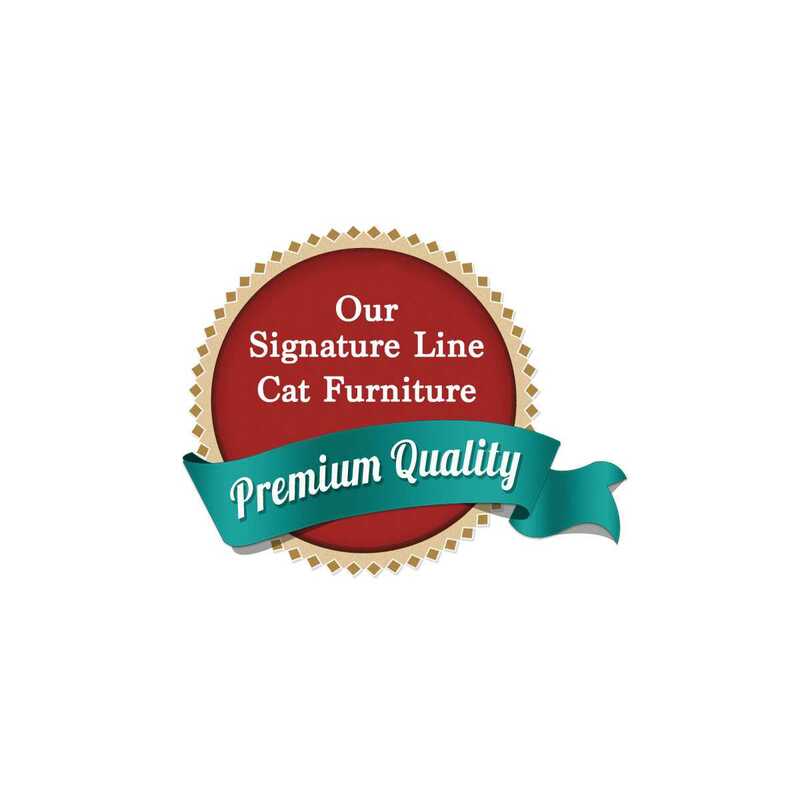 The Eleganza Branch Cat Shelf provides an elegant place to perch for the feline that li..